The United States has launched numerous unmanned space programs over the years. The Mariner program was a series of robotic interplanetary probes designed to investigate our neighboring planets—Mars, Venus and Mercury. The program included a number of firsts, including the first planetary flyby, the first pictures from another planet, the first planetary orbiter, and the first gravity assist maneuver. The Pioneer program consisted of two space missions that explored the outer planets and left the solar system carrying a plaque with info about Earthlings, in case extraterrestrials intercept the probe. 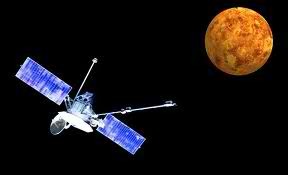 Also, Pioneer Venus in 1978 orbited Venus for a decade and Pioneer Venus 2 sent small probes into the atmosphere of Venus. 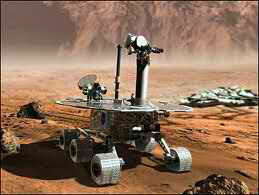 The Mars Exploration Rover Mission (MER) is an ongoing robotic space mission exploring the planet Mars. The mission began in 2003 with the sending of two rovers—MER-A Spirit and MER-B Opportunity—to explore the Martian surface and geology. The probes been one NASA’s most cost effective programs, operating years beyond the anticipated program length. The Voyager program is a series of NASA unmanned space missions that consists of a pair of unmanned scientific probes, Voyager 1 and Voyager 2. They were launched in 1977 to take advantage of a favorable planetary alignment of the late 1970s. The probes studied Jupiter and Saturn, then continued their mission into the outer solar system, never to return. The Viking program consisted of a pair of space probes sent to Mars—Viking 1 and Viking 2 launched in 1975. Each vehicle was composed of two main parts, an orbiter designed to photograph the surface of Mars from orbit, and a lander designed to study the planet from the surface. The orbiters also served as communication relays for the landers once they touched down. The Viking program caused a revolution in scientific ideas about water on Mars. The Helios space probes, a joint venture with Germany, were a pair of probes launched in 1974 and 1976 into heliocentric orbit for the purpose of studying solar processes. 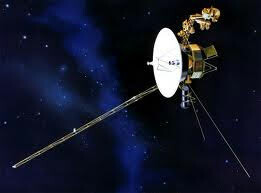 The Helios space probes completed their primary missions by the early 1980s, but they continued to send data up to 1985. Galileo was an unmanned spacecraft sent by NASA to study the planet Jupiter and its moons. It was launched on October 18, 1989 by the Space Shuttle Atlantis and arrived six years later. Galileo conducted the first asteroid flyby, discovered the first asteroid moon, was the first spacecraft to orbit Jupiter, and launched the first probe into Jupiter’s atmosphere. Galileo’s prime mission was a two-year study of the Jovian system. In 2003, Galileo′s mission ended when the orbiter was sent into Jupiter’s atmosphere.